The Seer was an official periodical of The Church of Jesus Christ of Latter-day Saints which first appeared in 1853 and was published throughout 1854. After the Church publicly acknowledged that it was teaching and practicing plural marriage at its September 1852 conference, President Brigham Young dispatched Orson Pratt to Washington, D.C., where he was asked to publish an apologetic magazine targeted at non-Mormons. The primary purpose of the magazine would be to explain and defend the principles of Mormonism. 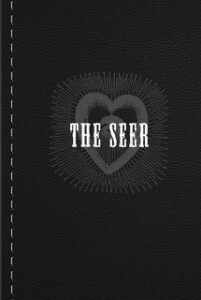 The first edition of The Seer was published in January 1853, with future editions being produced monthly. The contents of The Seer were composed almost entirely of original writings by Pratt. Throughout its publication history, the majority of Pratt’s writing stressed the rationality of the doctrine of plural marriage. For example, Pratt dedicated 107 of the 192 total pages of The Seer to a twelve-part exposition on what he called celestial marriage. The Seer was published in Washington, D.C. until July 1854, when publication was shifted to Liverpool, England. After only 18 issues, Pratt was forced to cease publication due to mounting financial losses. Circulation peaked at 400 copies in late 1853. “The world will not subscribe for nor read The Seer,” Pratt lamented to his brother Parley.